Rabies has been found in the area. Protect yourself and your family by protecting your pet(s) against rabies. 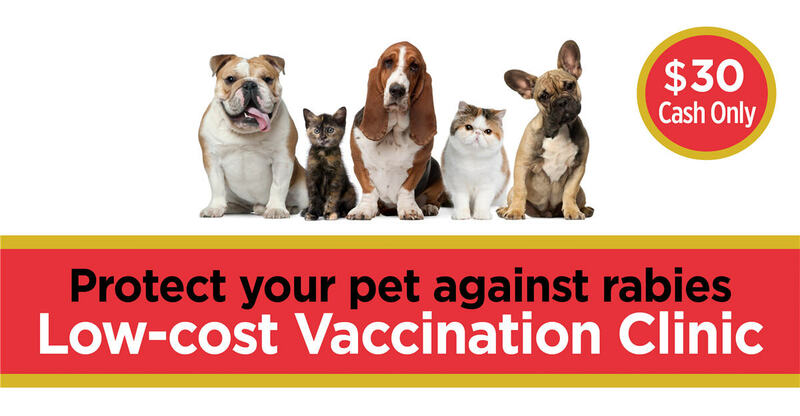 Low-cost rabies vaccinations will be available for dogs and cats. Cost $30 (CASH ONLY). Dogs on leashes and cats in carriers, please. No appointment needed. Presented in association with the Huron County Health Unit.